Once upon a time, although not so long ago, a few people sat around a table up at the Big House. They discussed ideas for making it easier for visitors to find their way around. A Visitor Information Board seemed like a good idea. It could display a map with places to visit around town; where to get a meal; where to find a bed for the night. “Great idea”, they all said and the plans were sent to a faraway place where all the big decisions are made for Brigadoon. Up at the Big House, people scratched their heads and for long enough the lovely new sign board sat empty despite proudly declaring “Welcome to Brigadoon” in English and in Gaelic. Part of the problem was that having been installed no one could find the key. Eventually, it was found in a dusty cupboard. But the people in charge at the Big House had no idea what the information board was meant to be used for. “Why don’t we just use it for public notices?” they thought. “That’s a good idea - but who will look after it and place new notices and take out the old ones?”. 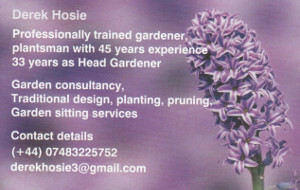 “It’s got to be someone local. Why don’t we ask one of the River people to take charge?”. That seemed a good plan as the board is in the area belonging to the River people. There are various groups of people in Brigadoon who keep a watchful eye on their own areas: the people of the West lands and others living in Suburbia. And so it was that the key was given to one of the River people. He regularly went up to the Big house to collect new notices and place them in the shiny new noticeboard. Notices began to appear telling local people about Coffee Mornings; the odd community event; charity fund-raisers - in fact the same old notices that regularly clutter the windows of local shops. But the notices now display events that have long since passed. Perhaps the new River people didn’t know they were custodians of the key. “What key?”, “Who has it anyway?”. 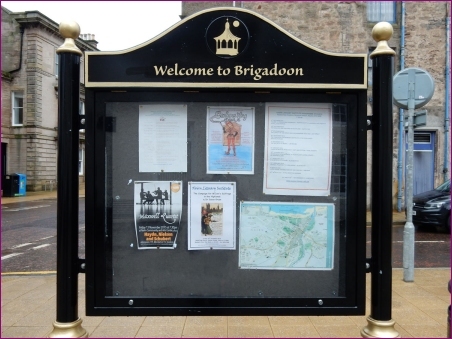 So despite the ”Welcome to Brigadoon”, does the visitor information board offer any useful information for visitors? Not really. Apart from a small map, people don’t know where they are, what they can visit, where they can eat or where they can sleep. In a town to the east where the people of the Forest live there is also a visitor information sign. It provides lots of useful information for visitors; tells them where they are on the map and suggest lots of interesting things to see and do around town. Now that’s what I call a Visitor Information Board. But I still can’t work out why they call this place Brigadoon! Left feeling a little sad that someone has the ability, the time and the energy to write a completely negative article. The same ability, time and energy could be put to finding the volunteer who has the key and simply offering to do what they so helpfully did previously. Or - does one get one's kicks from gurning? Council in meltdown - it beggars believe that no one from the Council can take responsibility for this task. A 5 minute job per week/ fortnight is all that's required. Comedy Playhouse in action from an uncaring out of touch Council with a cast of third rate actors and administrators! Couldn't one of our Highland Councillors do it. After all the four of them all take a big wage out of public funds don't they? How about getting the youth involved? 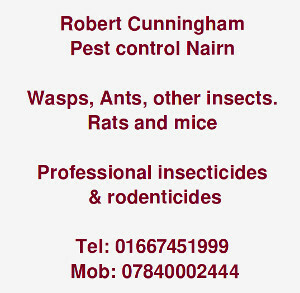 Couldn't Nairn Academy design something to go on the board? I have to question the validity of the noticeboard. I've yet to arrive in a new town and think where can I find a notice board that tells me about this place. 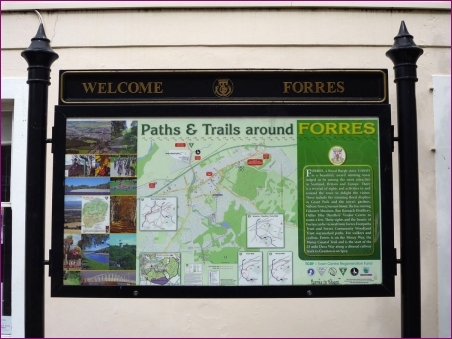 Fair enough re the Forres one, it appears as though the information is fairly static in the form of a useful map although personally I uses a smart phone to get maps these days. I have to conclude that the notice board is a bit of a waste of resources, maybe put a good map in it like the Forres one, and meanwhile figure out as to how we let visitors know where the tourist information centre is (another use for the noticeboard) as as far as I know there aren't any signs pointing out where to get tourist information? Perhaps it can just be used as a dating board with the profiles of local singles? 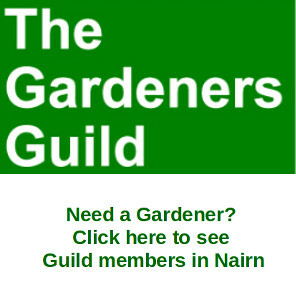 If in new place abroad, I always look for public noticeboard to see if anything interesting is on locally.